The Avondale Primary School canteen is run by the School Council and managed by Mrs Dianne Cunningham. The canteen is open Monday, Thursday and Friday for counter sales, recess orders and lunch orders. Parents are encouraged to volunteer their time regularly to ensure it operates efficiently. Children of parents who are volunteering in the canteen will receive a free lunch. Interested parents can contact the office or see Di in the canteen for more information. The canteen sells food products that comply with the Healthy Eating Program of the Victorian School Canteen Association. The School Council has a Canteen Subcommittee which meets to discuss menu items and other canteen business. - Amount of money enclosed. 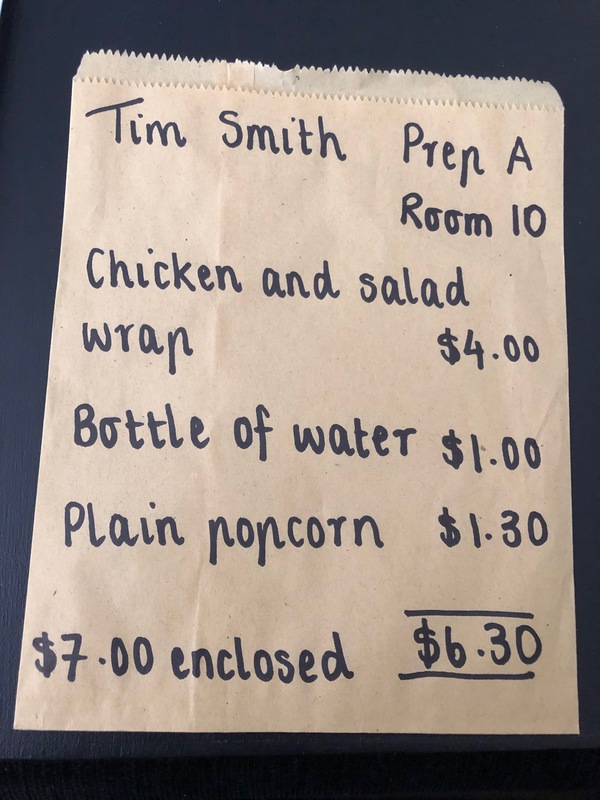 Please note: a capital 'A' should be recorded in the top right hand corner of lunch order bags to indicate students who suffer from food allergies. If a student does not have any lunch and we are unable to contact you, we will issue a Lunch Voucher to the value of $3.00 and seek reimbursement.